There are many ways an online business can add branding to the store site. Adding a watermark to the PDF invoice is one of the most clever ways of adding store branding to the site generated content. nopCommerce allows store owner as well as customer to generate / view / print PDF copy of the order invoice in the admin panel and my account section respectively. The default out of the box PDF invoice is quite standard in terms of styling. Today, we will go over the process of adding a watermark on PDF invoice in nopCommerce. e-Commerce industry is quite competitive and every online business is always trying different ways to attract more customers t o their store site. Offering free shipping is one of the best ways to motivate online shoppers to place an order on your e-Commerce site. There are several costs associated with it but there are many benefits such as more business and better conversion rate. 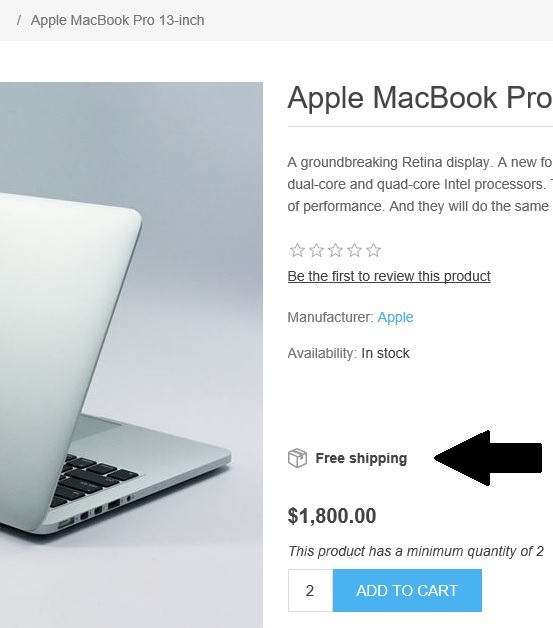 Today, we will go over the process of displaying free shipping icon on product details page in nopCommerce. Many store owners like the idea of product tags (cloud) as it gives the customers an easy way to filter out the products. Some users prefer tag cloud for search engine optimization in terms of having keyword links on the website but on the other hand some users like to use tag cloud because it can be used as a navigation tool. 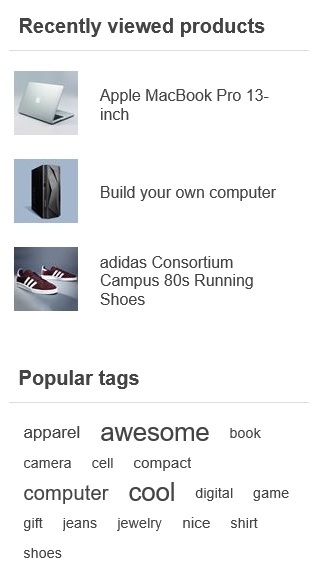 Today, we will look into, how to increase the number of product tags (cloud) in nopCommerce. Many developers / web designers are always looking to improve or add something new in the website layout / design that makes the content of the site stand out. 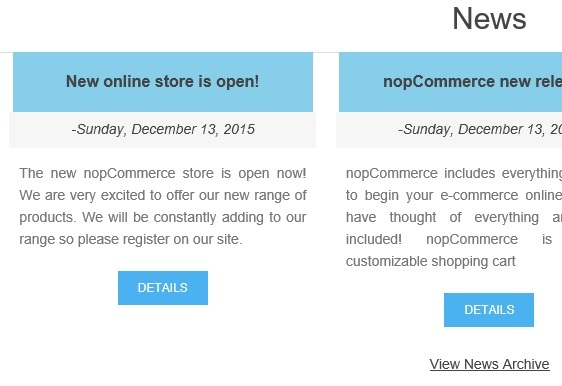 nopCommerce homepage (out of the box) offers 3 latest news posts on the homepage. Adding some background color to the titles will certainly make it look more attractive and it will easily catch your customer's attention. Today, we will go over the process of adding background color to news t itles on homepage in nopCommerce. If you are running an online business (e-Commerce store), it is very important to have an online presence so that your customers (or online shoppers) can easily find you over the web. In order to have an online present, you need to have a Search Engine Optimization (SEO) strategy. Optimizing your site for search engines can certainly help every store owner or online business owner get more traffic on the store site and more traffic means more business. Today, we will go over the process of adding meta keywords and meta description to your nopCommerce site.